Today, all business information is being produced at rapid speed, business managers and entrepreneurs are progressively dealing with complex-to-deal business operations than any time before. 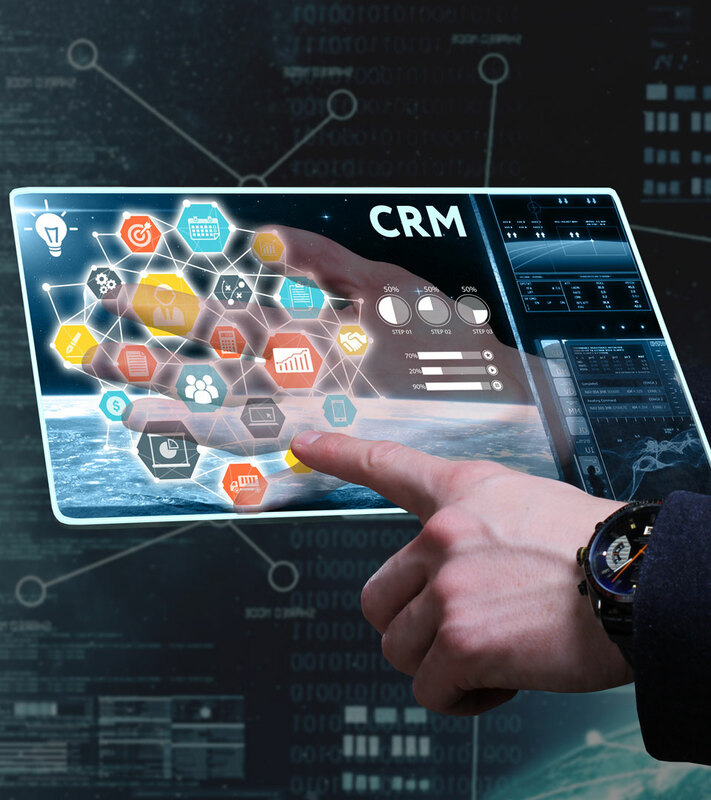 Fortunately, we at ICMB Services , one of the most leading ERP CRM development company at Dubai is recognizing the significance of developing and integrating ERP and CRM business software solutions into a sole solution to help improve and automate your business operations and performance. Some prominent benefits that businesses can reap by using ERP software and CRM software are better visibility into sales, improved sales furcating, better customer service, end of tedious data entry, farewell to data duplication, reduced expense in IT and training and much more. Interested! Right? There’s no looking back! Unleash your business’s true potential now. Implement tailored ERP and CRM tailored from ICMB Services today. To give you a clear idea, our ERP software Dubai is a super solution that which automates and streamlines your back-office processes such as HR management, accounting, inventory management, purchase management, etc., however our CRM software development services help in simplifying sales pipeline management, track client details, client interactions, etc. This is just a snapshot; the advantages are even more to count. Get in touch with us to know more about our customized ERP solutions in Dubai and CRM software development solutions. When you create a company, you are creating a community giving lots of promises. For fulfilling every promise you will have to nurture everyone in the community every time. Customers, investors, prospects, partners and every single person taking interest in your company are becoming a part of your community. It’s your duty to serve them well. Our Integrated ERP solutions UAE and CRM software Dubai are the must-try packs to get your business done easier. Here is our 3 planned and tried phases which we are following in our development process. In this phase, we will capture all the specifications you need such as features and benefits you expect. This stage will impact your choice. By listing your major processes you allow us to quickly frame the workflow. Now you will have finalized the features you need. Now it’s time to set the very first mock-up. Then, we will build a chain of mock-up finally prototyped for coding. Undertaking close feedbacks and reviews we will revise it and define your test scenario. At this stage, our coding experts will develop your software. Once your software is ready, a pilot study will take place. Our test stage will assess the issues and once it is rectified we will deliver your system. Fortunately, our maintenance supports are available to you whenever you need.